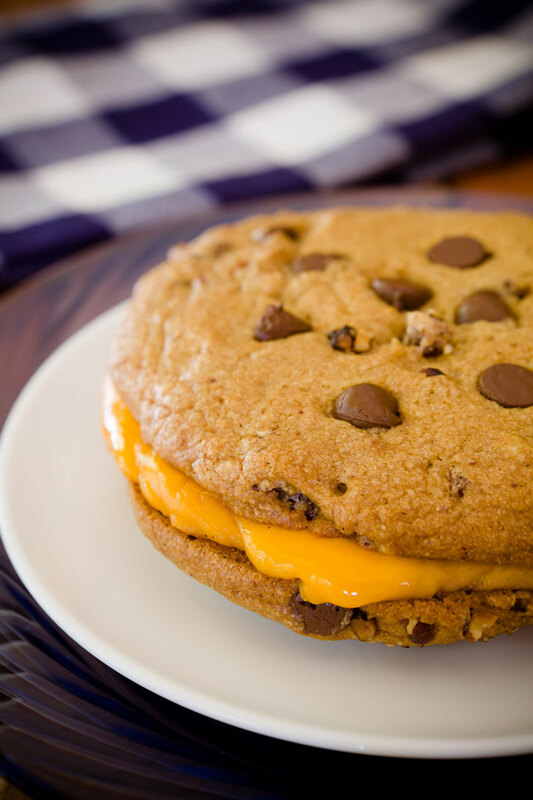 Stef of Cupcake Project has posted a tutorial and recipe for Chocolate Chip Cookie Grilled Cheese Sandwiches, a sweet and savory dessert that combines two chocolate chip cookies with a slice of melted cheese. She says, “Chocolate chip cookies and melted cheese are a mash-up that was meant to be. The stretchy, oozey cheese and the melty chocolate chips together are a playground for your palette.” Stef also created the Cupcake Wurst, sweet chocolate cake-filled sausages.